Provide general FAQs on the Magento store to clear the customer’s doubts with Magento 2 FAQ extension. 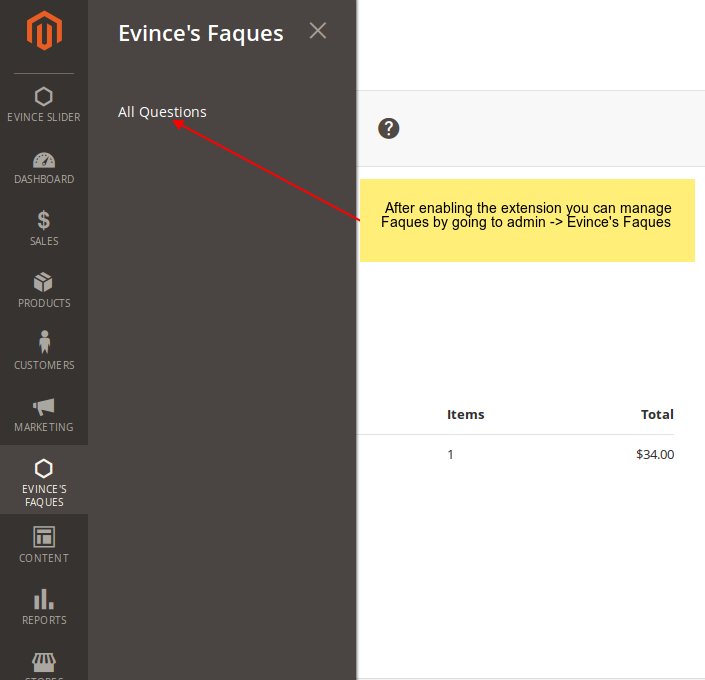 The Magento 2 FAQ extension allows the admin to display the FAQs on the store. There are some common questions that need to be clearly answered by the admin. Our Magento FAQ extension fulfills that requirement. Customers usually have some questions that they seek questions that he seeks to get answered before making a purchase. These questions are generic questions such as various payment methods accepted, “how to” questions, etc. 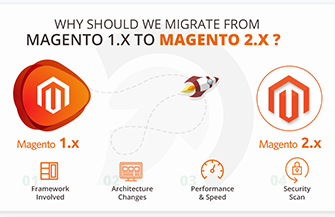 Our Magento 2 FAQ extension provides a solution to solve these issues in the matter of a few clicks. 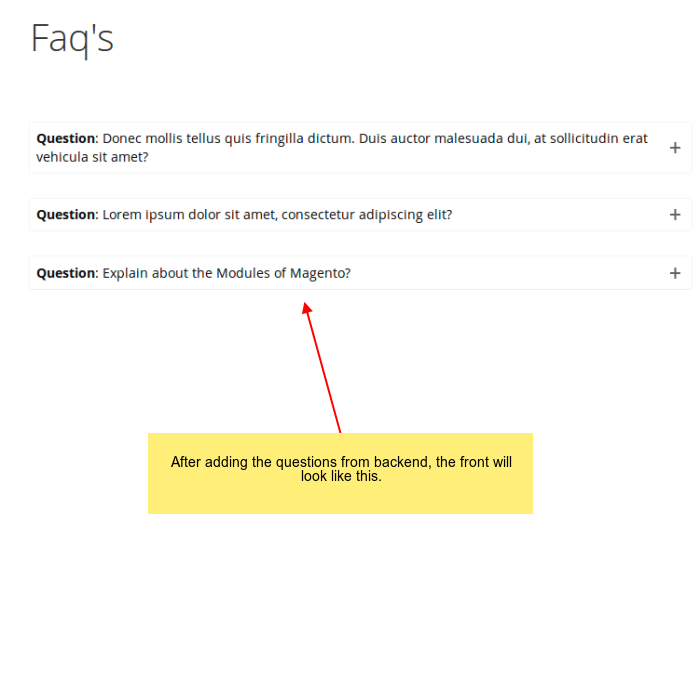 Our Magento 2 FAQ extension displays all the questions with jquery accordion. 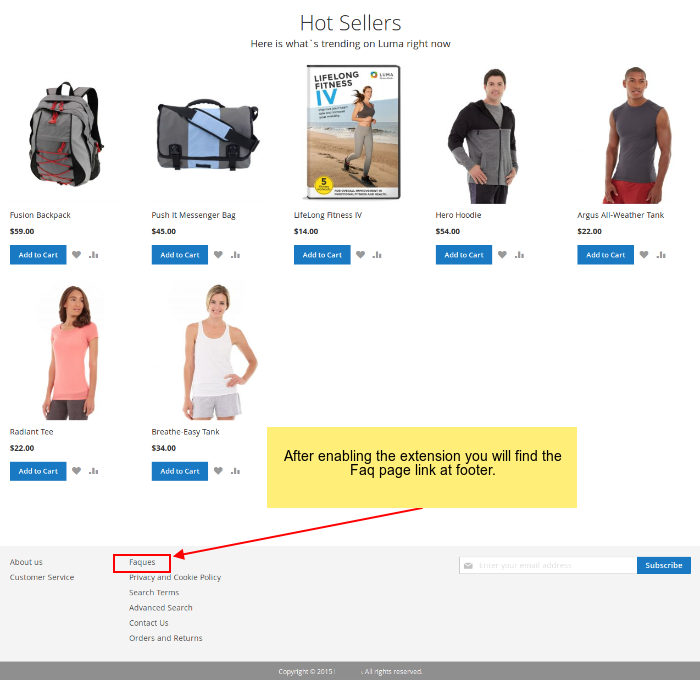 This provides a dynamic look to the store making the Magento questions and answers extension section attractive. Our Magento 2 FAQ extension is programmed to operate across all the Magento 2 extensions. No matter what is the version of your Magento 2 store, our Magento questions and answers extension is easy and flexible all Magento 2 versions. 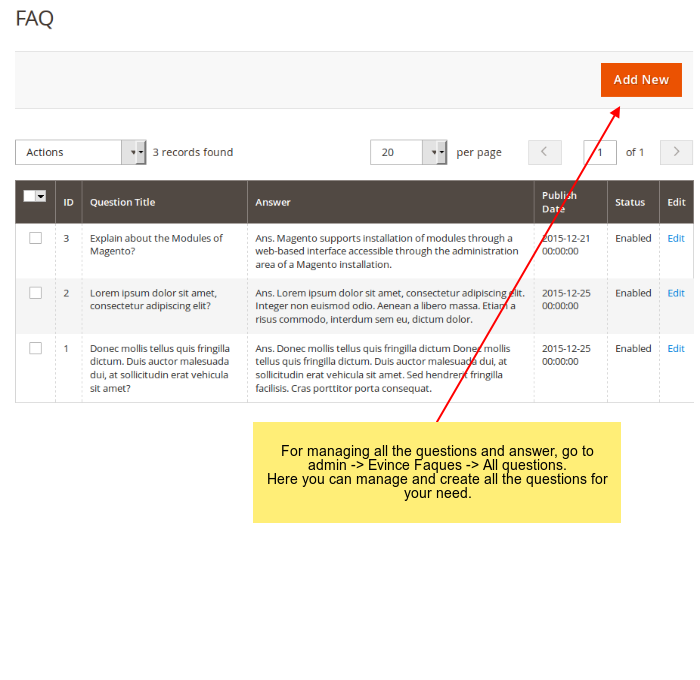 The admin can easily install and configure Magento 2 FAQ extension. 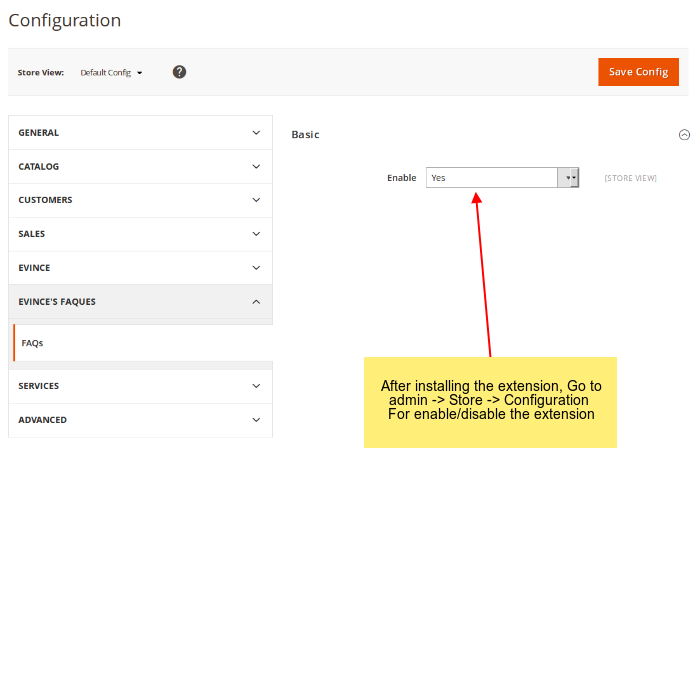 The admin just needs to “Enable” the extension form the “Configuration” section of stores. This is all to configure the extension. 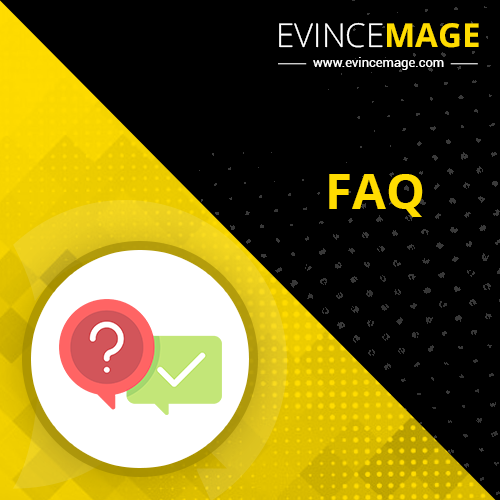 Our Magento 2 extension for FAQs provides highly responsive and mobile friendly experience to the visitors. The design of the Magento 2 FAQ module has the capability to provide enhanced user experience with a wide range of the best range of browsers and devices.